The data-storing abilities of hard drives could soon swell to 40 terabytes (TB) and beyond, says Western Digital, Owojela’s Blog learnt. Currently the largest hard disk drive (HDD) that stores data on spinning disks can hold about 14TB of information. Western Digital said the bigger drives were made possible by finding a way to use microwaves to write data on 3.5in drives. The first bigger-capacity drives should go on sale in 2019. While solid state drives are popular with home users, many large companies and web firms fill data centres with disks that depend on moving parts because, at high capacities, they are much cheaper and last longer. The drives store data on disks or platters that spin at high speed. A disk with a data capacity of 40 terabytes would be able to hold more than 2,500 two-hour movies encoded at a standard resolution. Western Digital said it could produce the big drives as it had found a way to increase the density of data recorded on a disk by using microwaves - a technique known as microwave-assisted magnetic recording (MAMR). The company is the first to produce a disk that uses this technology. 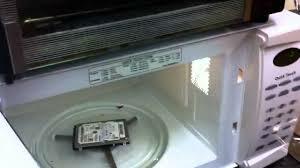 An allied method that uses heat instead of microwaves was thought to be the best way to help HDDs grow in capacity but it is known to be an expensive and technically tricky way to boost data density. The resulting devices, whose platters must be regularly heated beyond 400C, can also suffer reliability problems. Heat-assisted magnetic recording also requires changes in manufacturing plants and the materials used to make the magnetic platters that hold data. By contrast, MAMR requires far fewer changes to manufacturing and works with materials currently used to make HDDs. In a statement, Western Digital said it had produced prototype MAMR drives this year, and would give engineering samples to key customers in 2018 and start volume production in 2019. By 2025, further refinement of the technology would push capacities past 40TB, it said. It added that a novel method of boosting data capacities was needed as it was getting harder to squeeze more data into HDDs using existing techniques.